In this Friday, Feb. 2, 2018 photo a Bean Boot is seen in the return bin at L.L. Bean retail store in Freeport, Maine. Although the company is changing its return policy it will always accept returns on products that have failed, such as this boot. A federal judge in California on Tuesday granted L.L. 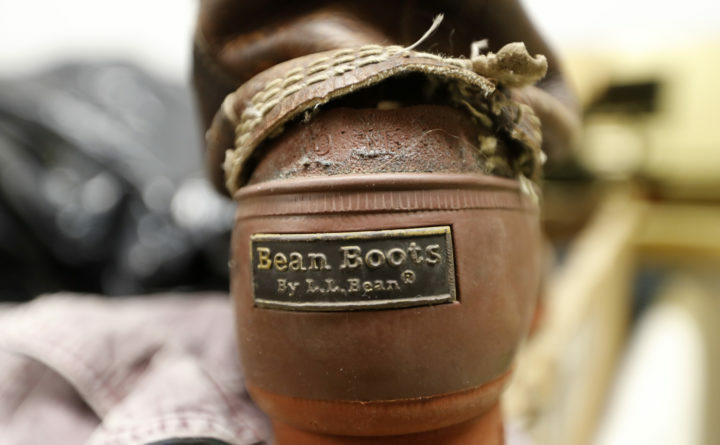 Bean’s motion to dismiss a potential class action lawsuit against the Maine-based retailer but at the same time gave the plaintiff a chance to amend his complaint. The case is one of four potential class action lawsuits that were filed against L.L. Bean for changing its unlimited returns policy in February. The lead plaintiff in the California case, William. A. Shirley, in May became the fourth person to file for class action status against L.L. Bean over the policy change. The three other cases are in New York, Massachusetts and Chicago. The Chicago case has been dismissed. U.S. District Court Judge for the Northern District of Illinois Robert W. Gettleman ruled on June 28 that plaintiff Victor Bondi failed to state a claim against L.L. Bean. But Shirley’s counsel Michael Liskow of Wolf Haldenstein Adler Freeman & Herz argued that customers paid a premium for L.L. Bean’s products because of its extraordinary lifetime guarantee. While the judge did grant L.L. Bean’s motion to dismiss the lawsuit, she left an opening to give the plaintiff a second chance to amend his complaint. She chastised Liskow for the manner in which their briefs were written, notably multiple footnotes that added five pages of arguments.